Since its generally never a good idea to buy a vehicle without at least getting a brief test drive in it, I made a trek up to the Mothership to check things out. Under the guise of visiting friends, I hopped on Southwest to make the trip up to the Seattle area. Visiting friends is always nice, even when its not the primary reason for the trip. Since it didn’t seem right to drive to an airplane kit factory, I hitched a ride from Paine Field down to Aurora State with a good friend of mine in his Cessna 205. We popped out west of the Seattle class B airspace and made the trip down in about an hour and a half. With much effort - and dollars spent - the garage has been transformed. With a beautiful new epoxy floor, freshly painted walls, and dedicated electrical installed on the shop half of the garage, I now have a very nice shop to work in. Well…. almost. 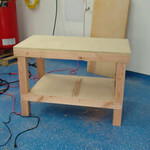 What I don’t have yet are workbenches & shelves. The first is easy enough to resolve, if perhaps time consuming. As for shelves? Well - I still need to figure out what sort of shelves I want to put up. Easy enough once that’s sorted out. First weekend of December, I took my first “real” step in starting the build process. While not directly building my airplane, I did get the opportunity to learn how the tools & techniques work for when I start building my aircraft. 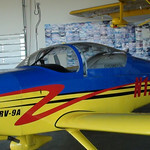 The EAA, working with Aircraft Spruce, sponsors SportAir workshops teaching different aspects of experimental aircraft, from composites to riveted sheet metal to electrical. 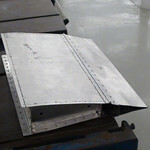 I took the basic sheet metal course this time. Today marks the first “real” order placed towards the airplane. The preview plans are the first part of the project and should give a great first glimpse into the scale of my upcoming project. Since I’ve still got a bunch of projects left to finish on the house, I’ll have a good bit of time to study, remove drool from, restudy, and simply absorb everything in this first installment. Combined with the sheet metal workshop coming up, I’ll be about as prepared as I can be once I start to get the real “toys”.